Betting on odds to win the NBA Championship is the most popular futures bet when it comes to basketball betting. 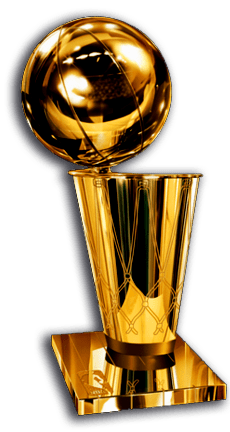 Here is our breakdown of each team’s chances of taking home the Larry O’Brien Trophy at the end of the season, which conference is favored to win in the NBA Finals, and the best legal and safe online sportsbooks to use when betting on NBA Futures. 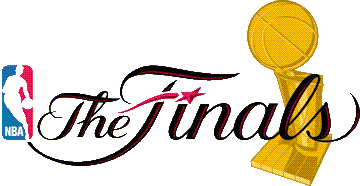 The NBA Finals is a best-of-seven series between the playoff winner from both the Eastern and Western Conference with the winner taking home the Larry O’Brien Trophy and being named the NBA Champion for that season. Here are the current odds to win the NBA Championship along with our preview for all 30 NBA teams for the 2018-19 NBA season. The Hawks were terrible last season and drafted point guard Trae Young in the 2018 NBA Draft. Young is expected to compliment second-year forward John Collins, and the Hawks will need both to reach their potential before the team is a title contender. If both Gordon Hayward and Kyrie are healthy, both missing the playoffs last season, then the Celtics should have no trouble winning the watered-down Eastern Conference, giving them a good shot to win the Finals. Whether they’ll be able to beat the Warriors, Rockets, or Lakers is a much tougher task. After dealing several first round picks to the Celtics in 2013, the Nets are finally out of that dark, 5-year-long tunnel. Don’t expect the Nets to be competitive at all this season because management is freeing up cap space to make a run at several superstars during the 2019 free agency period. The team has parted ways with Dwight Howard – as so many have these past few years – and hope Cody Zeller can stay healthy this season which gives Kemba Walker more scoring options. The Hornets have underperformed in recent years but expect the team to at least make the playoffs this season. Jabari Parker joins the Bulls at the cost of $20 million for this season with a team option for next season, and the team drafted center Wendell Carter Jr., giving the team more size and versatility. The Bulls will likely improve and may squeak into the playoffs, but don’t bet on them going past the first round. The biggest news in the offseason was LeBron James choosing to leave the Cavs and join the Lakers, watching their championship window shut in the process. Expect the Cavs to be among the worst teams in the league, since replacing arguably the best basketball player on the planet this season is highly unlikely to say the least. To the delight of owner Mark Cuban, the Mavs were able to trade up in the 2018 NBA Draft and grab Luka Doncic with the third overall pick. Doncic is projected as the favorite to win ROTY year honors at the end of the season, and many believe he’s a potential NBA superstar. The team couldn’t be much worse than last season, so while the future is bright, if Doncic will still need a team built around him before the Mavericks are title contenders. Paul Millsap is back healthy following an injury-plagued season, giving the Nuggets more defensive versatility. The team struggled without him and narrowly missed the NBA playoffs a season ago. Led by forward Nikola Jokic, the Nuggets will likely see the playoffs this season but odds of going much further in the vaunted Western Conference are slim to none. The Pistons are looking to be a contender this season and see the window closing as big men Blake Griffin and Andre Drummond aren’t getting any younger. The Pistons backcourt is much to be desired, and if they can’t improve this season then expect the team to miss the playoffs yet again. Having one three NBA Championships in the past four years, the Warriors are the heavy favorites to win the title. The team added Demarcus Cousins to the lineup in the offseason, giving them an All-Star at every starting position. Head coach Steve Kerr will need manage everyone’s touches, but with a roster this loaded, it’s hard to feel sorry for him. After taking the Warriors to seven games in the conference finals last season, the team, led by MVP James Harden and Chris Paul, lost Trevor Ariza and Luc Mbah a Moute to free agency – two core players on the Rockets last season. Carmelo Anthony joins the team, but unless he can find the fountain of youth – or maybe some defense after 15 years – then the Rockets will likely see their win total go down this season. The Pacers came out of nowhere last season and was largely due to Victor Oladipo having his best season, averaging 23.1 PPG last season. If the team can improve from 3-point range or trade for a long-range shooter before the trade deadline, then they could challenge the Celtics and Raptors for the top spot in the Eastern Conference. Even though the Clippers missed the playoffs after trading Blake Griffin last season, the team played much better than expected. Lou Williams had the best season of his career, averaging 22.6 PPG, and if the Clippers roster is marred by injuries again, they will likely make the playoffs this season. LeBron James comes to town and now, the Lakers are one of the favorites to win the NBA Finals. It’s easy to see why, since LeBron has made the finals every year since 2011, winning three titles in that span. However, now he must go through the brutally tough Western Conference to do it. While many experts doubt he’ll be able be to go through the West and win it all this year, no one should question his ability to do so. The Grizzlies essentially tanked the team last season following injuries to so much of the roster. Marc Gasol was essentially the only player to stay healthy last season and was benched so the team could lose and get a higher draft pick. If the team wants any chance of making the playoffs this season, they’ll need Mike Conley and Chandler Parsons among others on the court for the entire season. Josh Richardson had a breakout year last season for the Heat, becoming the team’s best all-around player. The Heat will want to build a team to compliment his abilities and will likely wait for the 2019 free agency period. The Heat are good enough to make the playoffs but will need more pieces before becoming a contender. Jimmy Butler has requested a trade from the Timberwolves, and the team is currently trying to find potential landing spots for one of the league’s best players. With Butler essentially heading out the door, it’s hard to see the Timberwolves making the playoffs this season. Anthony Davis is widely considered to be one of the best big men in the NBA today and is one of the favorites to win the MVP this season. With Demarcus Cousins “era” over in New Orleans, Davis will be asked to carry the load once again with some beginning to wonder if he’ll be in a Lakers jersey if the team falters at any point this season. After Kristaps Porzingis suffered a season-ending injury last season, the Knicks’ season effectively went down the drain afterward. The Knicks will be without him until at least February 2019, so don’t count the team doing anything other than hoping for a high draft pick at the 2019 NBA Draft Lottery. Head coach Billy Donovan and OKC fans held their collective breathe in the offseason until Paul George deciding to re-sign with the Thunder following rumors of a possible jump to the Lakers. Him and Russell Westbrook are back again, but if the Thunder want to be serious competitors in the Western Conference, they’ll need to strengthen their frontcourt. Four-year forward Aaron Gordon posted career high averages in points (17.6), rebounds (7.9), assists (2.3), steals (1.0), and blocks (0.8) last season but will need to pump those number up even more if the Magic want to have any remote shot at making the NBA Playoffs. 2017 No.1 overall pick Markelle Fultz returns after missing most of his rookie season but will need to show more than he did in the games he did manage to play last season. Regardless, the 76ers are a talented team but will need Fultz to show some progression to his game if the team wants to challenge the Celtics or Raptors in the East. Devin Booker is the only player that seems to be a capable player in the NBA, and the Suns’ struggles will likely continue this season. Whether Booker will ever get help remains to be seen as management continues to draft talented young players to the team, hoping one eventually will pan out. After a promising regular season, Damian Lillard and the Trail Blazers were upset and knocked out of the playoffs in the first round last season. The team made virtually no moves in the offseason, meaning it’s unlikely Portland will be the third-best team in the West again this season. The Kings drafted forwards Marvin Bagley III with the No.2 pick in the 2018 NBA Draft, and the team is banking on the big man becoming a potential superstar. The team has a long road ahead in the rebuilding process, so the odds of the Kings being remotely competitive this is season are quite low. It’s officially a new era with the Spurs following the retirement of Manu Ginobili and trading Kawhi Leonard to the Raptors. In exchange for Leonard, the Spurs got All-Star DeMar DeRozan out of the deal who will likely mesh nicely with LaMarcus Aldridge. Gregg Popovich still coaching the team, so as long as he’s still the head coach, the Spurs will be in the mix to win the title. The Raptors traded for All-Star forward Kawhi Leonard in the offseason in exchange for DeMar DeRozan to the dismay of Leonard, who wanted to be traded to the Lakers in the offseason. Many suspect Leonard might bolt for the Lakers next season and because of this, questions about his commitment to the Raptors this season have surfaced, making this a volatile wager. Donovan Mitchell came out of nowhere last year during his rookie season, putting up 20.5 points per game and leading the Jazz to the playoffs and beating the Thunder in the process. Mitchell will likely play an even bigger role this season with the Jazz hoping they can go even further in the playoffs this season. The Wizards acquired Dwight Howard in the offseason and well – after playing for four teams in four years – let’s just say this is one bet you want to avoid, which is disappointing since Howard should push a team over the top, but instead he pushes teams off a cliff. In addition to betting on the odds for all 30 NBA teams, another futures wager offered by most sportsbooks is to pick which conference will win in the finals, regardless of team. The Eastern Conference has been considered the weaker of the two conferences essentially since the turn of the century. The likely representative in the East will be the Celtics with every other team having major holes, and whether a healthy Celtics team can beat the elite Western Conference teams is uncertain. On the flip side, the west is loaded with more talent than ever now that LeBron James joins the fray, playing for his first Western Conference team in his 15-year career. The Warriors, Rockets, and Lakers are expected to be the cream of the crop this season with the defending champion Warriors assembling what appears to be one of the best starting fives ever assembled. Even though the conference is the heavy favorite on the betting line, it’s hard imagine the winner of the NBA Finals not coming from the Western Conference this season.